Noted. | FineStationery.com: Push the Envelope! 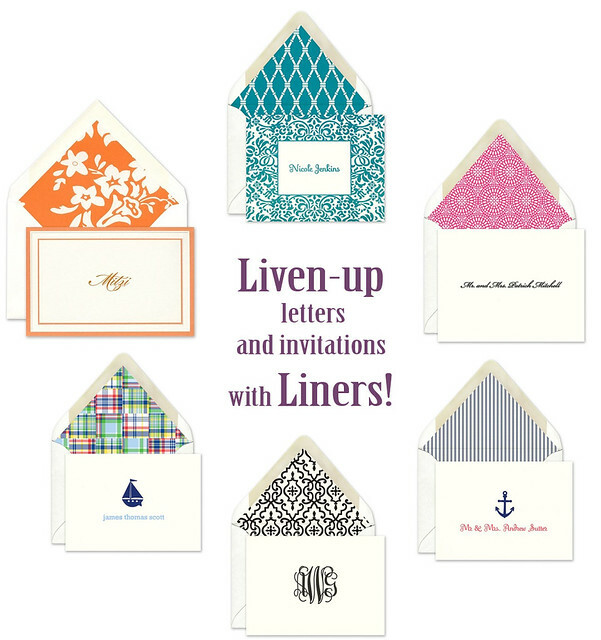 Personalize stationery and invitations by adding a liner featuring bright colors and fun patterns! First, select your favorite card, then add a liner in the design center. With FineStationery.com's wide selection of designer brands, you're sure to find the perfect card and liner combination to suit your style.